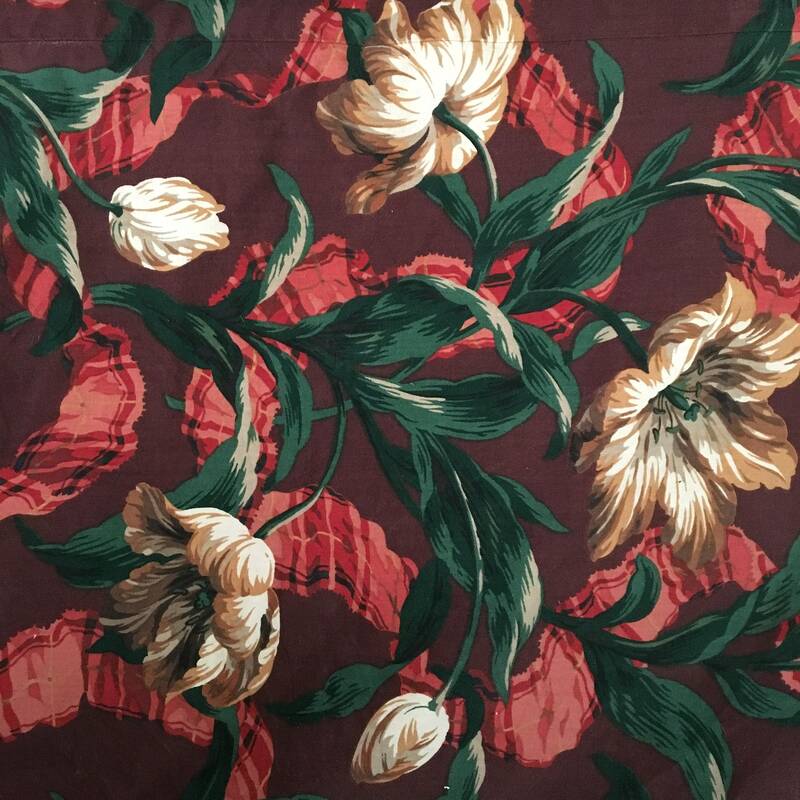 This is bold print of high-quality drapery fabric. The original curtains were lined and had a pleated top. The lining and pleats have been removed. You may see stray threads and a rough cut edge from the removal. This is one huge, heavy piece of fabric. I have machine washed, line dried and dryer fluffed this piece (and others) and they come out with no need to iron. 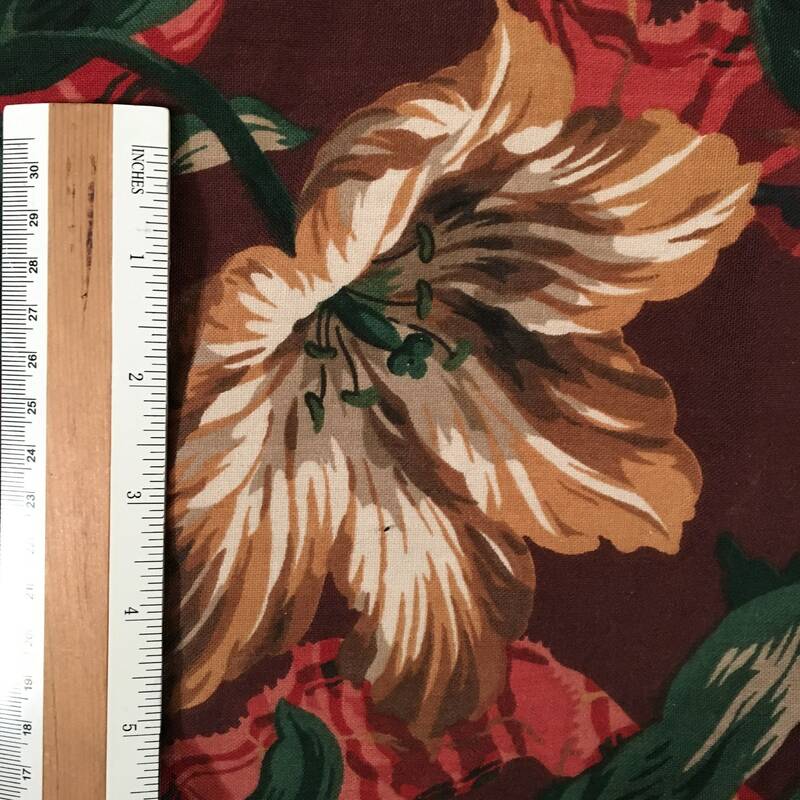 This piece is 148" x 112" which translates to a generous 4 yards x 3 yards. 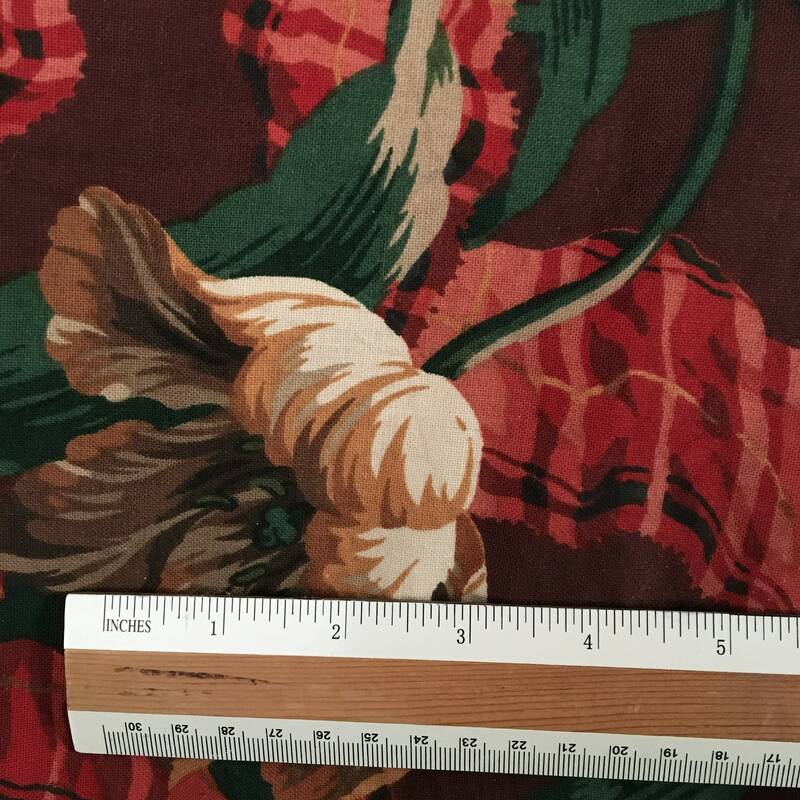 The original curtains hung 112" long and there are 3 seams across the 148" width. In very good condition with no stains and no fading. This fabric is just about indestructible! This piece weighs over 5 pounds. Think "Sound of Music" where Maria makes the von Trapp children play clothes out of the old drapery!